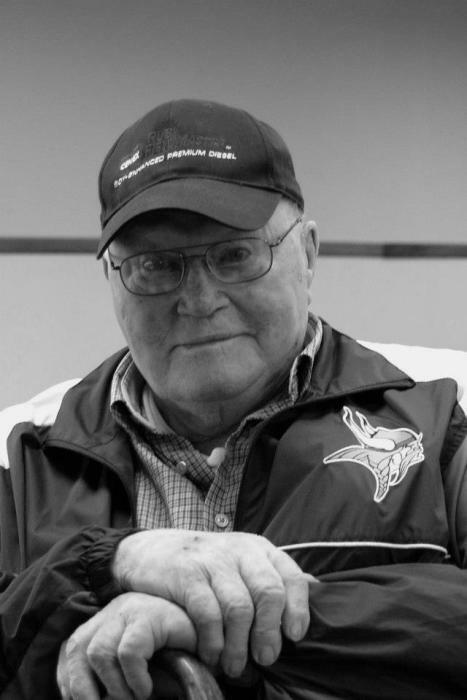 Harold Harry Jensen was born January 13, 1924 in Renville County, MN. He was the son of Jens and Mabel (Kenning) Jensen. He passed away September 3, 2018 at Saint Mary’s Hospital at the age of 94 surrounded by his children, grandchildren and daughter-in-law. He grew up with a twin brother, (Howard) and younger sister Elvine Jensen (Vinnie). He moved to Grand Meadow in 1948 where he met his wife Frieda through his future brother-in-law Mel Anderson who set them up on a blind date. Harold proposed on the second date! On August 18, 1951, Harold married Frieda Hovda at Bear Creek Lutheran Church. The couple had three children, Elea (1952), Howard (1954) and Eric (1959). Harold was a lifetime member of Bear Creek Lutheran Church; an active member of the Men’s Group and Bear Creek Church Choir. He was a co-coach of the Racine Rockets co-ed softball team. He was also a lively member of the 40 Milers, an area choir for many years. He was a Farmer all of his life of 160 acres with the help of his kids and wife. In his retirement he attended every birthday, choir concert and graduation of his grandchildren. He enjoyed gardening, going to church and sneaking the yummy sweets Frieda would make. His most trusty companion in his last years was a Pug dog named Puggy. She was content to watch every Western, Twins and Viking game or golf tournament he had on while snoring on his lap. Harold is survived by his three children; Elea Uhl of Decorah, IA, Howard (Patricia) Jensen and Eric Jensen - both of Grand Meadow, MN, four grandchildren; Matthew (Andrea) Finholt-Daniel, Megan Hansen, Trey Jensen and Trista Jensen and four great grandchildren; Amalia, Graham, and Owen (Finholt-Daniel) and Boden (Hansen). He is also survived by his sister Vinnie Jensen (Idaho). Harold was preceded in death by his wife Frieda, his parents and his twin brother Howard, sister-in-law (Vava) and brother-in-law Jim Jensen. His funeral service will be Saturday, September 15 at 11am at Bear Creek Lutheran Church in Grand Meadow, MN with the reviewal starting at 10am. Interment will take place at Bear Creek Lutheran Cemetery immediately following the service with a luncheon after.